Access physical activity grades, report cards and other related documents from all Global Matrix events in which China has participated. To facilitated government strategies and investment on promoting youth physical activity among each families. Yan Tang, Ph.D.Dr. Yan Tang is a Professor in Physical Education and the Director of the Academic Affairs Office at the Shanghai University of Sport (Shanghai, China). 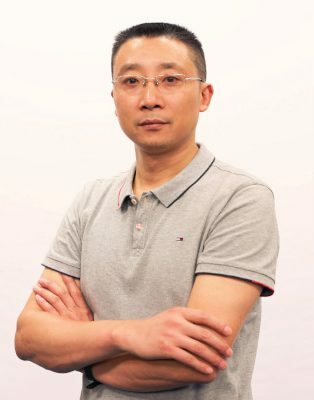 He is the Deputy Director of Shanghai Research Center for Physical Fitness and Health of Children and Adolescents, and a member of China Sport Science Society. Prof. Tang holds a doctor degree in Sport Sociology from Beijing Sport University, and master and bachelor degree in Physical Education from Southwest University, China. He is an author or co-author on over 30 peer-reviewed scientific journal articles and 4 books on physical activity and physical education of children and adolescents. At present, Prof. Tang is the principle investigator of several national and regional level research projects in evaluating physical activity and its related social context of Chinese youth. Background: Physical activity (PA) is beneficial to young people’s health and development. For nearly 200 million Chinese school children, yet few study has provided national representative and international comparable evidence on their PA. 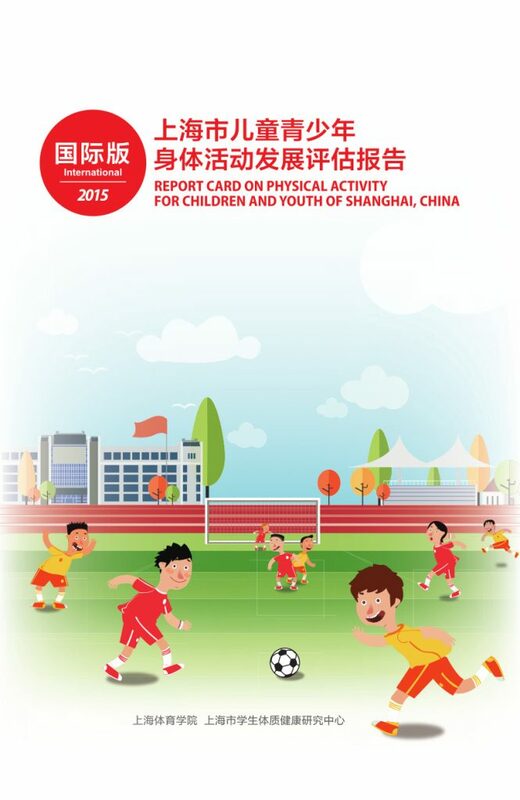 Thus, the aim of this study is to present the inaugural China Report Card on Physical Activity for Children and Youth. Methods: The data was derived from the 2016 Physical Activity and Fitness in China – the Youth Study (PAFCTYS), which was conducted in all Chinese provinces with involved a stratified three-stage cluster sample design to select a representative sample of the Chinese school-aged children population (n = 125281, grades 4-12). Self-report questionnaires were completed by the sampled students, their parents/guardians, and PE teacher (n = 1398) from each sampled school respectively. The grades of 9 report card indicators were assigned in accordance with the survey results against a defined benchmark: A is 81% to 100%; B is 61% to 80%; C is 41% to 60%, D is 21% to 40%; F is 0% to 20%. Results: The 10 indicators were graded as follows: Overall Physical Activity Levels (F), Organized Sport Participation (D-), Active Play (D+), Active Transportation (C+), Sedentary Behavior (F), Physical Fitness (D), Family and Peers (D+), School (D+), Community and the Built Environment (F), and Government (F). Conclusions: Levels of PA and sedentary behavior were low and below the respective recommended guidelines. Interventions and policies at the community and built environment level should be encouraged to promote physical activity and reduce sedentary behavior. In addition, national policies on young people’s PA should be advocated widely to ensure the policies can be transferred to actions. “Sunshine Project” (Students’ daily 1h physical exercise in school) needs to be remains to increase schoolchildren’s physical activity. Community and the built environmental factors are urged to be improved to promote young people’s physical activity. Parents’ physical activity and exercise should be encouraged and their awareness of on national policies and standards of young people’s physical activity and health should be enhanced.. Sport organization and other parties working on active play should be promoted along with the improvement of facility and equipment. Comprehensive assessment and evaluation on physical activity of children and adolescents should be conducted in the national level. "Promoting young people’s physical activity and health have been always the priority in Chinese education and health policies. The participation of the Global Matrix for China is a great opportunity to share the information of physical activity of children and adolescents from the most populous country to the world. In addition, the comparison with other countries will push related policymakers to enhance the context of influencing physical activity of Chinese young people." - Yan Tang, Ph.D.
Background: Internationally comparable evidence is important to advocate for young people’s physical activity. 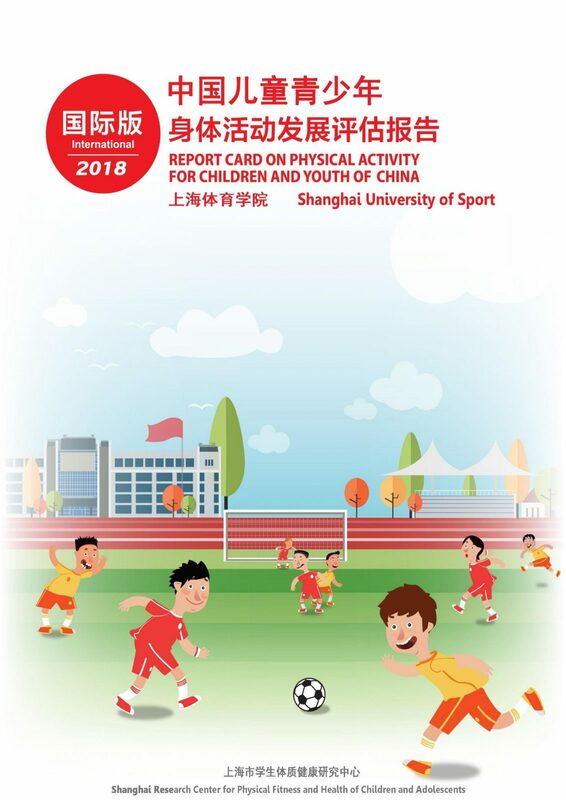 The aim of this paper is to present the inaugural Shanghai (China) Report Card on Physical Activity for Children and Youth. Methods: The working group developed the survey questionnaire and carried out the school surveys for on students (n=71404), parents (n=70346), school administrators and teachers (n=1398). The grades of nine Report Card indicators were assigned in accordance with the survey results against a defined benchmark: A is 81%–100%; B is 61%–80%; C is 41%–60%, D is 21%–40%; F is 0%–20%. Results: The nine indicators were graded as follows: Overall Physical Activity Levels (F), Organized Sport Participation (F), Active Play (D-), Active Transportation (C-), Sedentary Behaviors (F), Family and Peers (B), School (B+), Community and the Built Environment (D+), and Government (D). Conclusions: Levels of physical activity and sedentary behaviors were low and below the respective recommended guidelines. Interventions and policies at the community level should be encouraged to promote physical activity and reduce sedentary behaviors. Future surveys random national surveys should be encouraged in order to strengthen the Report Card on Physical Activity for Children and Youth in China.